A BMBF-funded Research Group at LMU will carry out an interdisciplinary study to assess the risks posed and advantages offered by fitness apps and other developing mobile digital technologies in the fields of health, prevention and disease management. 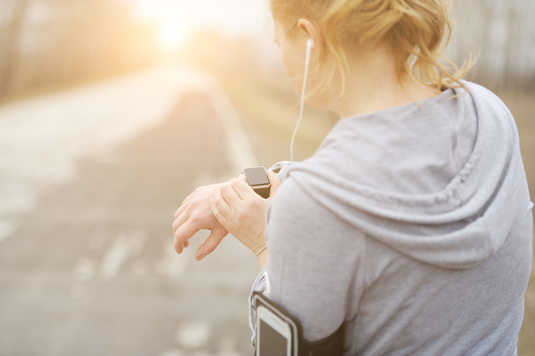 Smartphone apps that purport to serve as athletics coaches, wrist watches that monitor whether their wearers get the recommended daily amount of exercise – digital technologies like these would seem make it easier than ever for us to live healthy lives. But what are the downsides? For instance, what ethical problems does this type of – otherwise unsupervised – digital monitoring raise? This issue is at the heart of a research project to be carried out by a team led by Priv. Doz. Dr. Verina Wild at LMU‘s Institute for the Ethics, History and Theory of Medicine. The project META. mHealth: Ethical, legal and social aspects in the technological age, which is supported by a multiyear grant from the Federal Ministry of Education and Research (BMBF) amounting to 2.1 million euros, will explore the ethical, legal and social aspects of mobile health technologies (m-health). Verina Wild is a specialist in biomedical ethics and the ethics of public health, with a particular focus on the justice and vulnerability. “With the advent of technologies such as fitness apps, health and related data are increasingly turning into a commodity that is now on offer and negotiable outside of the medical context,” she points out. This development raises many questions, relating to the ethical basis of such services, individual responsibility for one’s own health, rights of ownership and access to one’s personal data, and to whether or not these technologies will actually be made available to all. Wild and her colleagues will take an interdisciplinary approach to the ethical dimensions of the topic. This will involve the analysis and evaluation of mobile health technologies from a range of viewpoints, extending from the philosophical, sociological and legal to the epidemiological, political, commercial and consumer perspectives.